GWCS Running Club rocks the Philly Style 8k! We are so proud of the AWESOME job you all did! Congratulations to the Green Woods Charter Running Club for successfully completing the PHILLY STYLE 8K this past Saturday. Our students joined 1000 other Students Run Philly Style members from all over the city to run this hilly, challenging course. The weather was perfect and the students did AWESOME! 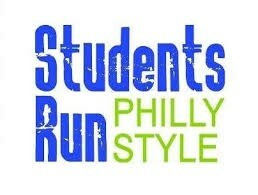 The team will conquer the 10 Mile Broad Street Run next on May 6th, make sure you come out to cheer them on!